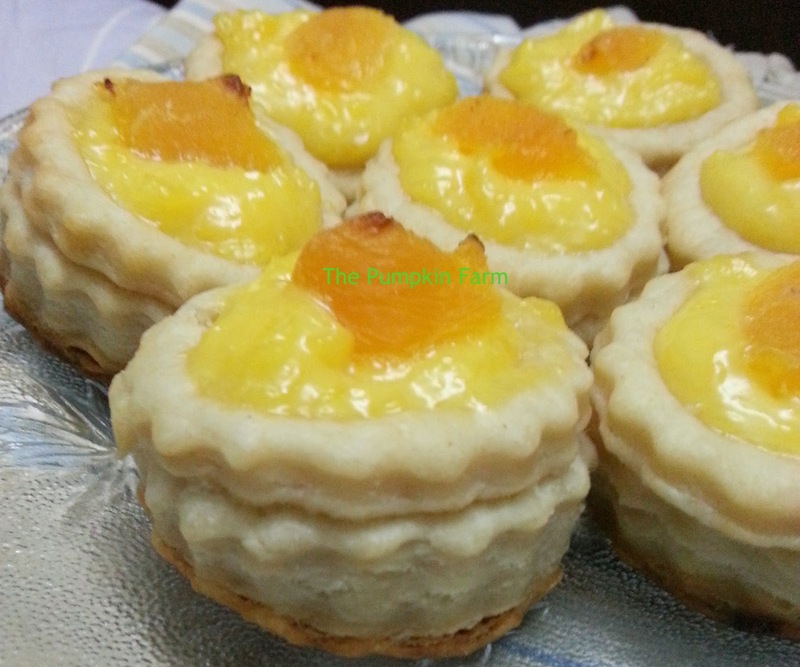 I love this cute looking tartlets especially for the size that I have made them. I do not remember where I had them last....coz it has been a long while since I had them....but there was a time once when I ate them practically daily for lunch. There was patisserie closer to my work place which sold some amazing desserts. My lame attempt at recreating it...I was happy with the results but could not please DH enough.. The little one flicked off the custard and did not bother much for the base but asked me to bake this more often...so I was sort of satisfied.. This should be a good treat for kid's parties so sending it to Kids delight while working on the theme for BM run..
2) Boil the milk and sugar. Add the custard paste in steady stream stirring continuously. 5) Using a fluted cutter make small discs. 7) For one of the disc, cut out the centre using a smaller cutter to form a hole. 8) Brush the other disc with milk or water and place the one which was cut in the centre. 11) Using a fork prick the centre of the puff pastry discs. 15) Return to the oven to bake for another 5 min. I remember eating these often during the initial days of blogging..not after that and have not attempted baking them myself..looks good.. So stunning. Love them Pradnya. Even chinese have almost a same tartelets, havent tasted this yummy portugese tartelets..loving it. 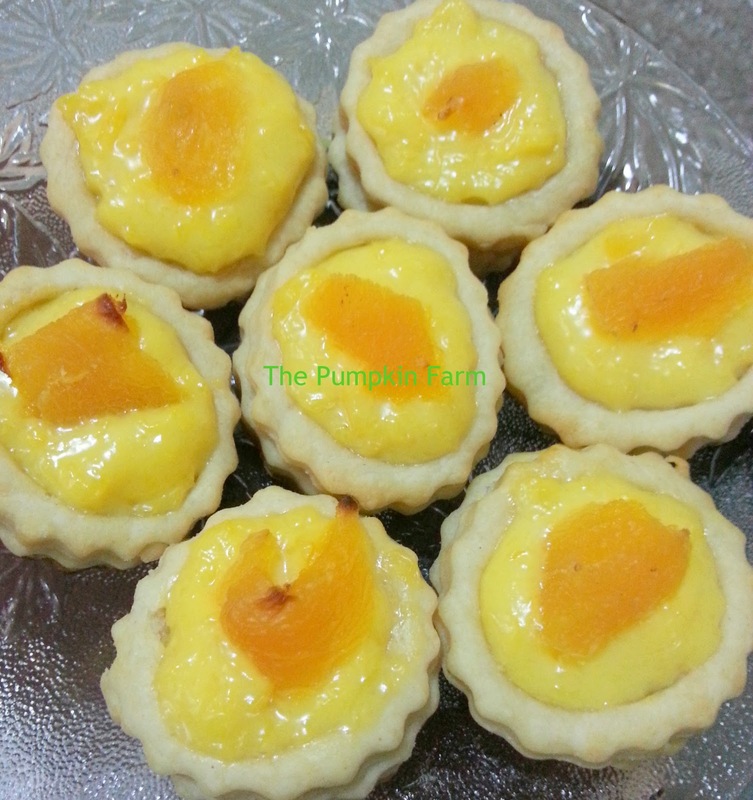 Lovely tarts, I have tried my hands at making them once long time back. They came out nice, but never tried making them again. These look really nice, wish I could have one! They look very attractive and custard and apricot combo is wonderful..tried it very recently. Looks cute. We love the Chinese version that we used to have there in KFC.It is my lil ones fav. Never even thought of baking these at home! !